The MOUNT CONVERTER MC-11 allows you to use your SIGMA Canon EOS mount interchangeable lenses with the Sony E-mount camera body. MC-11 is ideal for professional photographers who use different camera systems depending on the subject, as well as amateur photographers who enjoy using a variety of camera systems. Increasing the compatibility of lenses with different camera systems makes these assets more valuable than ever. In addition, users of Sony E-mount camera bodies will enjoy an immediate increase in the number of lenses available to them. The design of a lens depends on whether a camera system uses phase difference detection AF or contrast detection AF. Based on this difference, the structure of the AF actuator and lens focus group will vary widely. Since a conventional DSLR lens is typically larger and heavier than a mirrorless camera lens, attaching it to a mirrorless camera body that uses contrast detection AF will not result in ideal autofocus functionality. MC-11 incorporates the digital data necessary to provide fast and smooth AF for compatible lenses as well as OS features and functions of the camera that help control peripheral brightness and correct transverse chromatic aberration, distortion, and more. 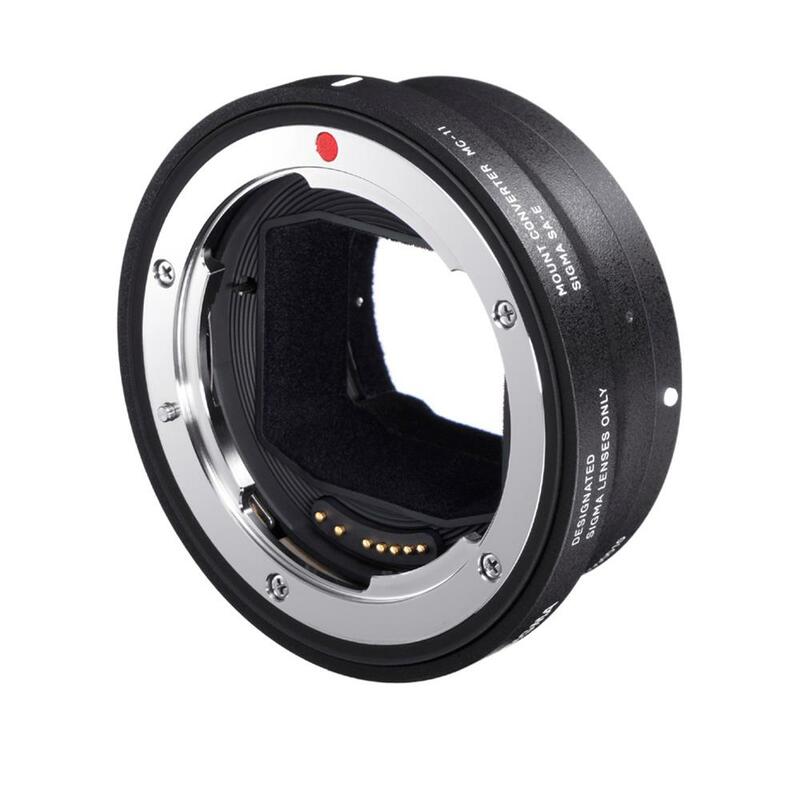 In addition, since Sony E-mount camera bodies do not require mechanical integration with lenses for aperture control, the MC-11 makes SIGMA interchangeable lenses for Canon cameras fully compatible with the automatic exposure control of Sony E-mount camera bodies. Lens data updates require the installation of the latest version of SIGMA Optimization Pro on your personal computer and the SIGMA USB DOCK accessory (sold separately). With the MC-11, users of SIGMA EOS mount interchangeable lenses for Canon camera bodies* can use them as is with Sony E-mount camera systems. Users of multiple mounts will enjoy more flexible use of their valuable lens assets. The MC-11 gives Sony E-mount camera body users access to a total of 19 SIGMA interchangeable lenses. Due to compatibility with auto-image area setting functionality, SIGMA DC lenses for APS-C sensors can be used with camera bodies with full-size sensors without the need for any special operation. Compatible SIGMA DC lenses can therefore be freely used with Sony E-mount camera bodies.